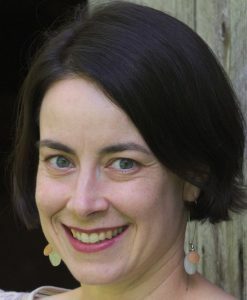 To NASA plasma physicist and founder of the citizen science project Aurorasaurus, Liz MacDonald, an aurora is like “a glitter bomb”—a cluster of charged particles flowing from the sun that interacts with the Earth’s magnetic field. In a recent interview on Science Friday, she explained that the Earth sits in this constant stream of solar wind, causing its magnetic field to become a large teardrop-shaped dipole magnet with a long tail end. 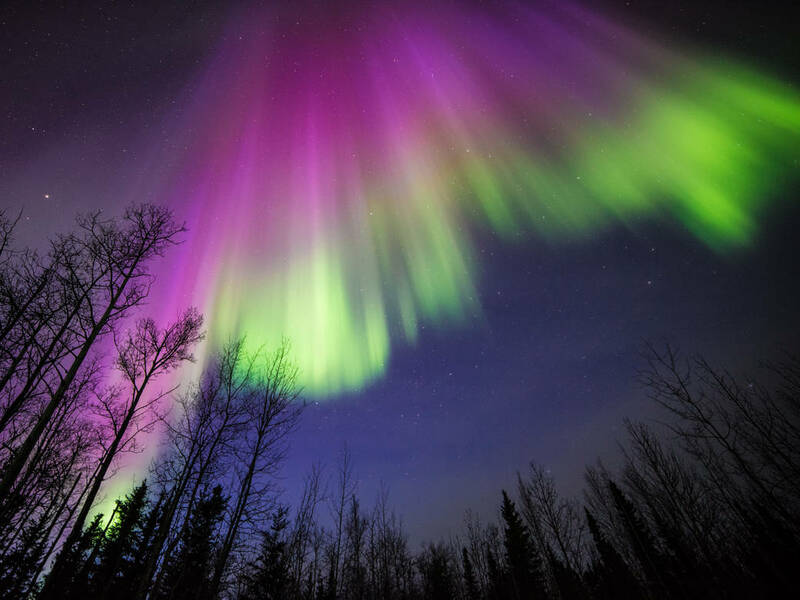 Within the aurora’s beauty lies many scientific mysteries that MacDonald hopes to answer. Science Friday caught up with MacDonald to find out more about auroral physics, what lured her to studying them, the birth of the “glitter bomb” analogy, and how citizen science and social media may help solve some of those lingering mysteries about the beautiful lights. Why did you end up studying auroras? As an undergraduate at the University of Washington, I dreaded physics class. But I had a fabulous mentor (Ruth Skoug, a scientist now at Los Alamos National Laboratory) who studied auroras and opened my eyes to research. Auroras were beautiful and complex, and the research about them was tangible and had practical applications. I was drawn to auroras for all of these reasons. My mentor convinced me to take just one more physics class and then one more, and here I am. Why do some auroras appear as different colors? The different colors are from different types of collisions occurring between charged particles raining down from space and different types of atoms ambient to the upper atmosphere. Some aurora have more than one color. Aurorasaurus has a variety of graphics on this. In a recent Science Friday interview, you describe auroras as glitter bombs of “charged particles coming from the sun.” What do you mean by that? This is an analogy I came up with to help describe the invisible charged particles of the space environment—the plasma that responds to electric and magnetic fields in space. Plasma is invisible, charged particles that fill space and have all kinds of complicated motions. Space is not empty. It’s filled with plasma, or magnetized glitter. Space is mostly invisible, until you put on your glitter glasses and enter the world of heliophysics (the study of the effects of the sun on the solar system). There are many different types and amounts of glitter, mainly positive and negative, which travel at different speeds. The sun shoots this invisible solar glitter—sometimes the wind blowing hard, sometimes soft—following its magnetic ballerina skirt. Seriously, the sun has a tutu of glitter and it is whirling around once every 27 days. You can imagine some fabulous magnetohydrodynamic physics from this! The Earth’s upper atmosphere has its own glitter that moves inside a big whirling bubble. Therefore, the magnetosphere is where the solar wind glitter and the Earth’s glitter dance, and it’s this dance that generates its own fabulous physics. We can study all of this rigorously, but we may lose the awe. I think imagining plasma as something more familiar, like a glitter bomb, can help scientists communicate some of the main processes. I wrote a series of tweets about this and would love to write a kid’s book, too. Why do auroras become more active every 11 years? And why are they being seen at more southern latitudes? Auroras become more active every 11 years because the sun’s magnetic field actually flips polarity on that cadence. Solar flares and other driving activity on the surface of the sun vary broadly due to the flipping. The current solar cycle—the first to occur since the existence of social media—peaked in 2014. It is a broad maximum of increased activity, several years where aurora is seen further from the poles during solar-driven storms. 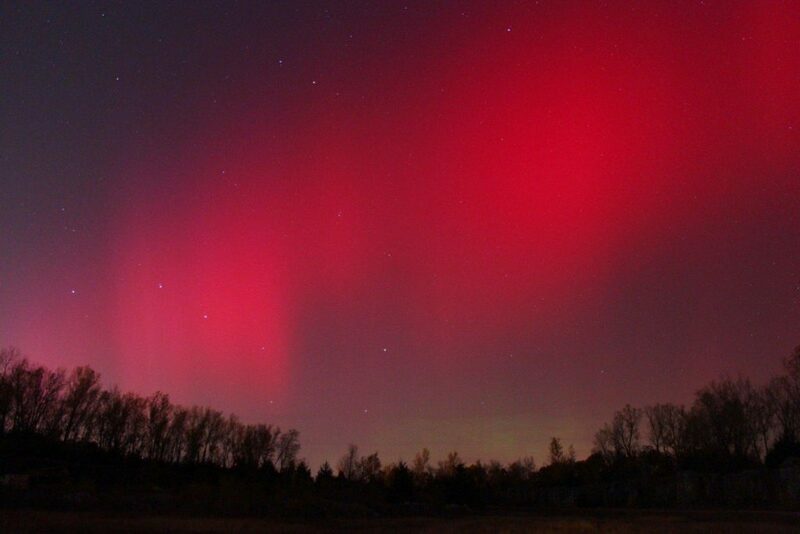 What can auroras tell scientists about space environment and space weather? Auroras are like a television screen of what is happening out in the magnetic space around Earth. They tell us about the environment where spacecraft, like geosynchronous telecommunications satellites, live and how they are affected by space weather. This is important for the health, cost, and longevity of the satellites. Since an aurora is also many broad sheets or curtains of electrical current, it can disturb electrical transmissions in low earth orbit space and on the ground. What are some of the biggest misunderstandings about auroras? The number one misunderstanding, no doubt, is that auroras are caused directly by particles from the sun entering Earth’s atmosphere, ignoring the role the magnetosphere, the protective magnetic bubble in which we live, and the charged upper atmosphere, known as the ionosphere, play in creating auroras. The magnetosphere is hugely important to the processing (or partitioning) of energy storage and release from the sun. How can citizen science projects like Aurorasaurus better our understanding of auroras and the space around the Earth? Auroral science is a pretty small and young field. Citizen scientists can contribute to discoveries of some rare auroral phenomena, like the thin, purple arc found in Alberta, Saskatchewan, the finders temporarily called Steve. Opportunities to observe auroras with satellites are very sparse and our models are still very preliminary. Together, citizen scientists can supplement that data and help build better models of auroral activity for space weather protection. Citizen scientists contributing to Aurorasaurus can also help each other in real time around the globe by reporting conditions. Our platform does location-based alerts based on multiple robust citizen scientist reports which can then be used to evaluate what your chances of seeing an aurora in your area may be. What other mysteries would you still like to solve about auroras? 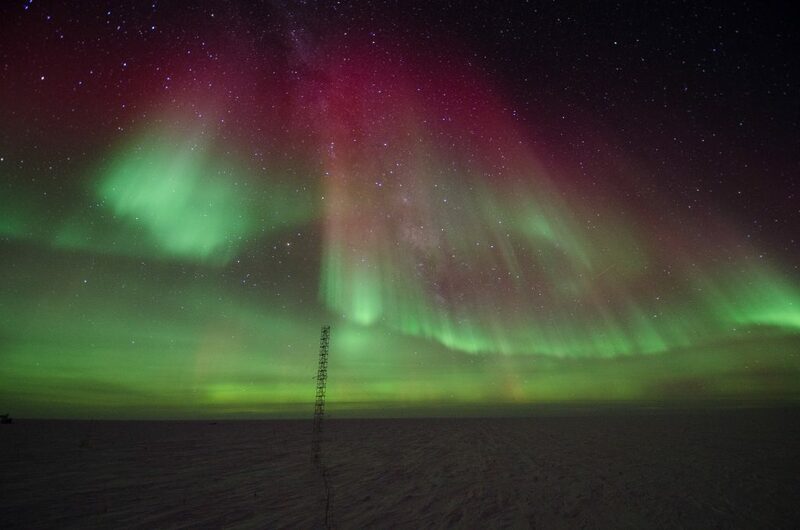 The big one is the connection between the particles we measure from satellites more than 100,000 miles out in the magnetosphere, and the particles that rain down and drive the light of the aurora. The field lines themselves stretch rapidly and it’s very difficult to trace them because we don’t have direct ways to make those connections. We are starting to think of experiments that can do that though, and possibly solve the mysteries of how the magnetosphere and ionosphere are connected. What’s the coolest (or most memorable) aurora you’ve seen? My husband and I had the pleasure of being taken out for aurora chasing with an amateur astronomer and fabulous photographer named James Pugsley in Yellowknife, Canada. He can look at the sky and, based on very subtle signals, know when it’s a good idea to get out of the truck and set up for a great show. As a scientist, I can look at the data and try to guess where they’ll appear. But his method keeps one’s toes and camera batteries warm for much longer. 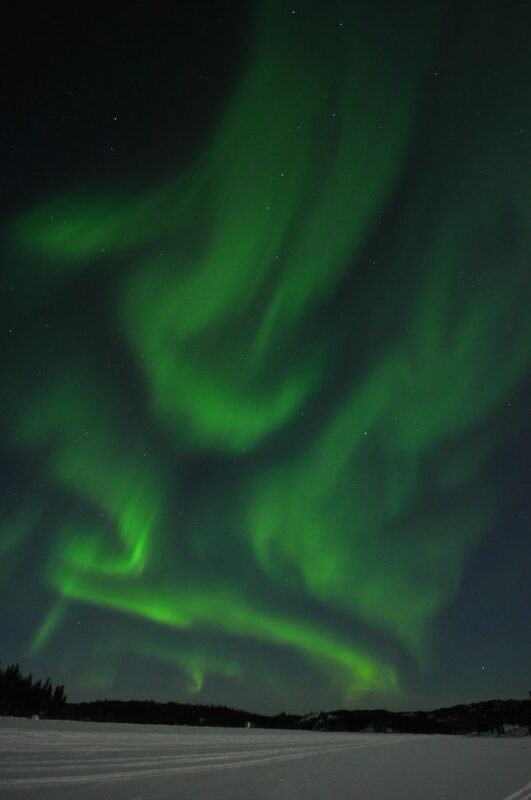 The “everyday” aurora that happens far up north is spectacular and worth visiting, even when the sun is not that active. What do you wish people knew about auroras? This is tough. First, I wish that people knew that they can increase their chances of knowing when aurora might be visible by checking out our project and apps and signing up for alerts. Second, I wish that people knew that it’s actually a field of science. It’s not astronomy, as we are studying tangible near-Earth processes in the large natural laboratory of space. Also, sorry Mom, it’s not astrophysics, even though that sounds cooler. Studying the aurora is part of space plasma physics called heliophysics at NASA. The interaction of charged particles from the sun with the Earth’s magnetic field can create a dazzling light show in the upper atmosphere. A method using consumer grade photography gear offers a fresh look at the aurora borealis.